Soft Blue/Navy will not ship until until June 1, 2019. Check out the Special Tomato EIO Stroller as a comparison that is ready to ship to you! 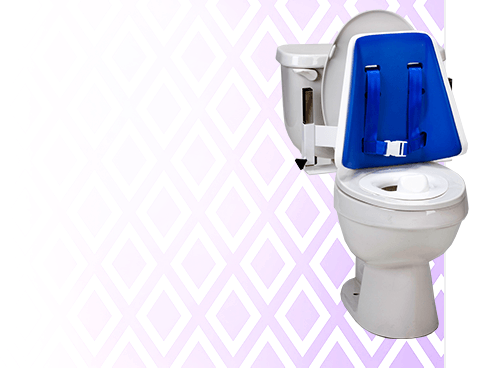 Click here to learn more about the EIO! The Maclaren Major Special Needs Stroller is a convenient special needs stroller buggy for children. This Maclaren Major Special Needs Stroller will comfortably carry a large child yet fold up to the size of an oversized umbrella-style stroller. With footrest removed, the Maclaren Major Special Needs Stroller folds to 46" x 9 3/4" x 8 1/4" (117 x 25 x 21 cm) for compact storage. The Maclaren Major Special Needs Stroller has a durable quilted fabric seat and is available in a choice of colors. The Maclaren Major Special Needs Stroller special needs stroller is truly a dream to push. 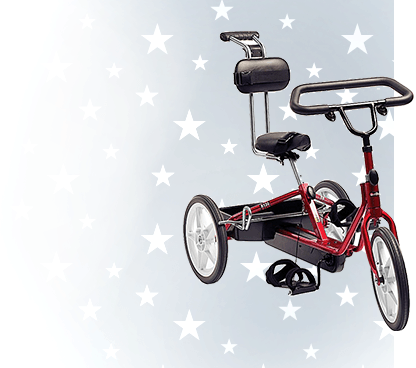 Four sets of dual 7" (18 cm) wheels feature rear childproof brakes and front swivel wheels. Brakes are operated with an easily reached foot lever, one for each pair of rear stroller wheels. 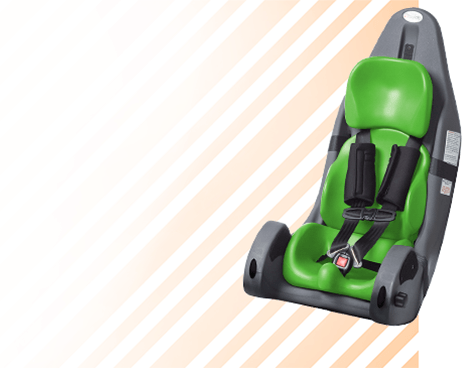 The Maclaren Major Special Needs Stroller features a 5-point safety belt, washable seat, and detachable molded foot rest. The high quality Maclaren Major Special Needs Stroller construction is evident everywhere. Wheels are 7" (18 cm) made from a quiet microcellular polymer. They add stability, and the 4 front tires swivel for easy maneuverability. 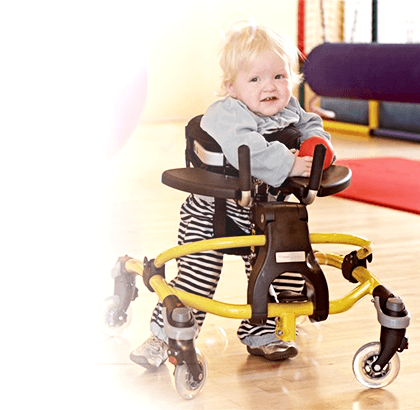 The Maclaren Major Special Needs Stroller Frame is constructed of light weight aluminum square tubing. All stress points are reinforced. The Maclaren Major Special Needs Stroller is lightweight for portability weighing only 16.5 lbs (7.5 kg). 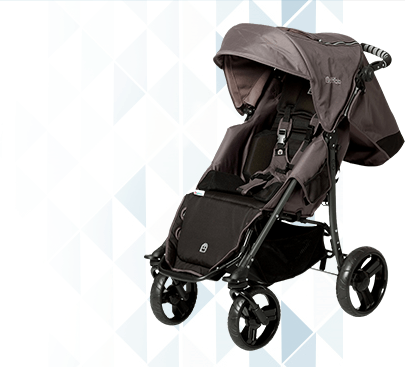 Great for travel, shopping, or quick outings, it is a stroller designed for safety, convenience and durability. Note that the Maclaren Major Special Needs Stroller is not designed, crash tested, or intended for use as a transport device on buses. The Maclaren Footrest has THREE Height Options. The distance of front edge of seat to foot rest surface at highest position is 8" (20.5 cm), the middle position is 10" (26 cm), and lowest position is 14" (36 cm). User is tilted, fixed at 25 degrees. 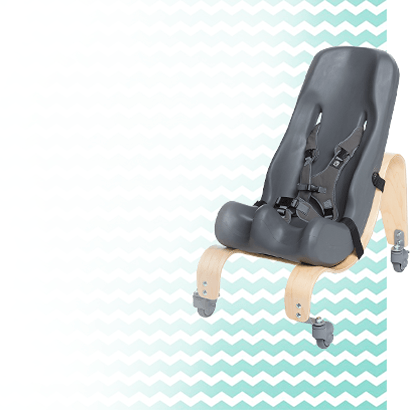 The Maclaren Seat Back Height is only 20.5". If you need a taller Seat Back Height, consider the NEW Special Tomato EIO Stroller or the Special Tomato Jogger Stroller. The Maclaren Major Special Needs Stroller comes standard with a 5 point harness system. The crotch strap joins with the lap belt by "clicking" the left and right part of the lap belt into the 5 point connector. These 3 points of contact are joined with a pair of 1" (2.5 cm) shoulder harness straps that "click" to the lap belt assembly, completing the 5 point system. Each strap section connects independently. Strapping is 1" (2.5 cm) webbing, and the crotch strap is constructed of a 1.75" x 5" (4 cm x 13 cm) foam padded strap with sewn fabric covering. Weight of the Maclaren Major Special Needs Stroller - with foot rest 16.5 lbs (7.5 Kg). The Maclaren Major Special Needs Stroller is recommended for toddlers up to primary school age children with mild disabilities. For children who need additional trunk/pelvic support we recommend one of the Special Tomato Soft-Touch Sitter Inserts or the Special Tomato Soft-Touch Liner™ to increase sitting support in the Maclaren Stroller. We recommend you click to compare the Maclaren Stroller to the Convaid Metro. 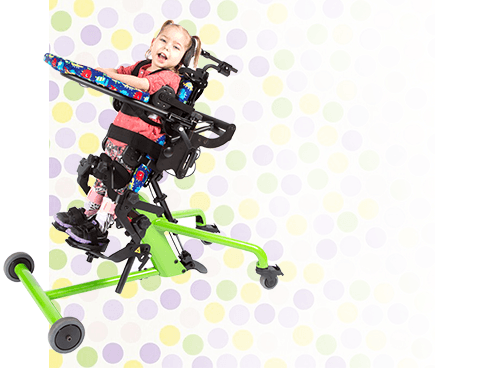 The Convaid Metro is a premium quality stroller and you will not be disappointed with its performance. *** Our Therapists recommend that you do not rely on the weight capacity alone to determine if this stroller is the correct size for your child.